There is nothing interesting about Ray Eccles. He knows it himself. On the morning of his fortieth birthday, he goes for a walk because he's just learned of a dormant Second World War explosive offshore, and he's the kind of man who thinks a bomb might be good company. As he gazes at the sea, a woman in the distance suddenly turns to face him--and a dying seagull falls from the sky, knocking him unconscious. When Ray wakes up, he's inexplicably compelled to paint the woman's image, obsessively and repeatedly: initially on any paper he can find in his house, and thereafter on the walls, using any materials that come to hand, including food and bodily fluids. Discovered by a power couple of Outsider Art, he becomes one of the most celebrated artists of the century, and soon even small-town newspapers are covering his work--which is how Jennifer, the woman on the beach, discovers she's the subject of the paintings that have set the world on fire, leading her to wonder if a man she's never met is the only person who has ever really seen her. 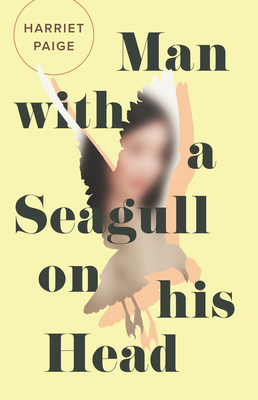 Man with a Seagull on His Head is a novel about the impossibility of ever really knowing anyone, and the electric charge that comes from real if unexpected connection. Beautiful, lyrical, and strangely moving, it heralds a wonderful and original new voice.